Most people’s work happens in browsers like Chrome and Firefox, which is dangerous for productivity. In order to save your productivity and stay focused on work, here are some of the best Chrome extensions for productivity. 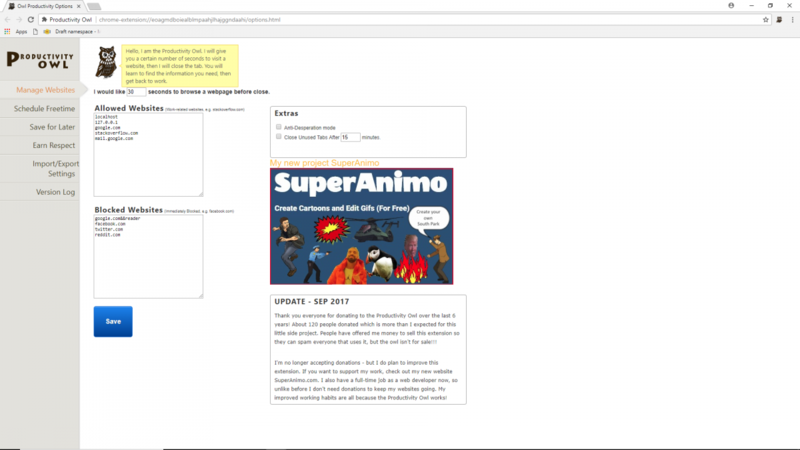 Google Keep is a great extension for Google Chrome, for when you want to keep all your data neatly organized. Its primary function is to help you take notes and create to-do lists; you can also save images and pages and then add notes to them. You can even take notes by making voice memos that are later transcribed. 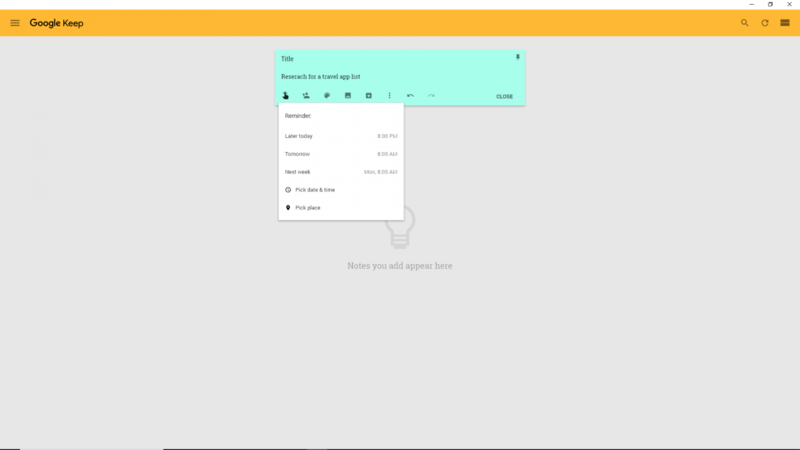 Google Keep also lets you set-up location based reminders for your notes and lists. Say you have to do some on-location research for a travel app. Just make a list of all the details you should keep an eye on, and set a location-based reminder so that Google Keep pulls up your list as soon as you get to the location. To make your notes even more organized, so you don’t have to waste time looking for them, you can color-code them and associate them with labels. 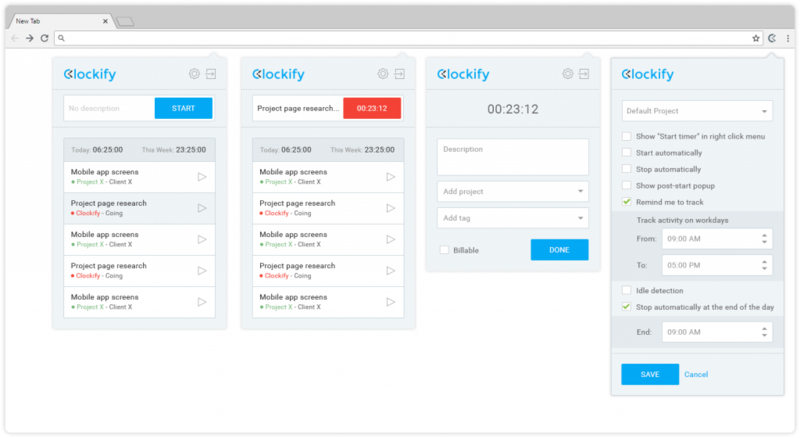 The Clockify Time Tracker extension for Chrome allows you to track time, just like in the app, only faster, because you don’t have to open the app just to start another timer. You can track the time you spend on activities, and later use these results to analyze your productivity levels, see whether you can make improvements, and have a log of your time for accurate billing. 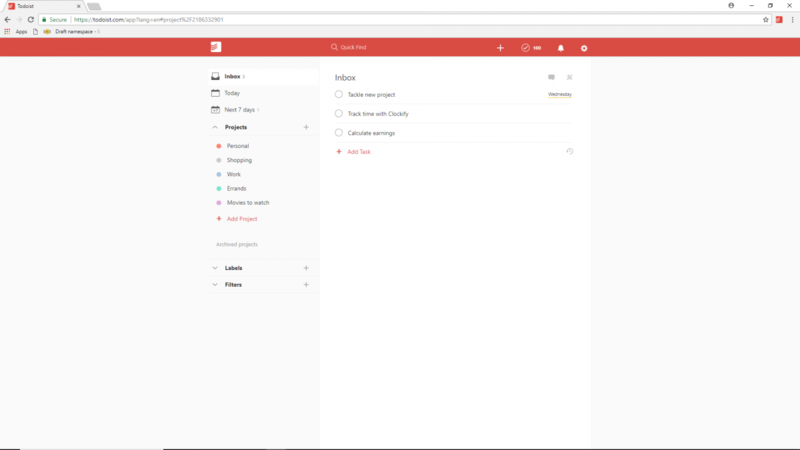 The Todoist Chrome extension is a simple, but useful task manager. With it, you can keep track of your projects, and manage all your tasks, by organizing and delegating them directly from your Chrome. This extension is also great for when you have a lot of deadlines you want to keep track of, because it lets you define due dates, and prioritize tasks accordingly. To make matters easier, you can color-code your projects, create sub-groups and sub-projects, and really micromanage your daily workload. 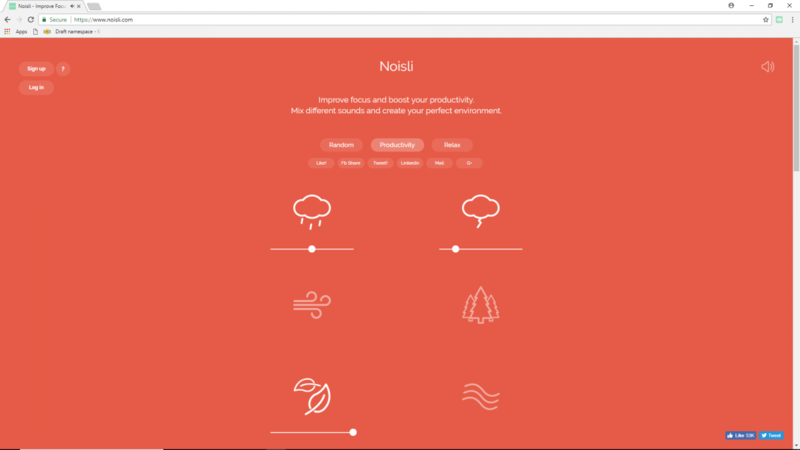 Noisli is one of those Chrome extensions specifically designed to boost your productivity. To focus better on the task at hand, you just have to choose the sound combo you find most inspiring. This can be the sound of falling rain, the sound of a storm, coffee shop chatter, wood noises, fire crackling, white noise, the sound of the wind and crickets, and more. The list of sounds is really extensive, and you can combine whatever number of sounds you want. Noisli is especially useful if you’re working in an open office where the background noises are likely to distract you. Just switch on the extension, choose a sound combination you want, and put your headphones on. If you lack the willpower to stay away from YouTube, Reddit, Facebook and other time consuming websites on your own, StayFocusd is the choice for you. This extension will help you avoid online distractions by restricting the time you’re allowed to spend on them. Say you want to restrict the time you spend daily on Facebook to 10 minutes. Just add Facebook to your list of blocked sites, choose 10 minutes, and shift attention to your daily work. You’ll probably check Facebook occasionally, but you can spend only a total of 10 minutes on it a day. Once your 10 minutes are up, you won’t be able to access Facebook, or any other blocked website until the next day. You also won’t be able to change the settings to give yourself more minutes on a website once your time on it has expired, so your willpower won’t be tempted. Another great feature of this extension is the Nuclear Option. Here, you can set the number of hours or days in which you want to be completely restricted from entering certain sites. And, once you turn on this option, there isn’t a way you can turn it off, until the time you’ve entered has expired. The Productivity Owl really makes sure you up your productivity game, and work faster. 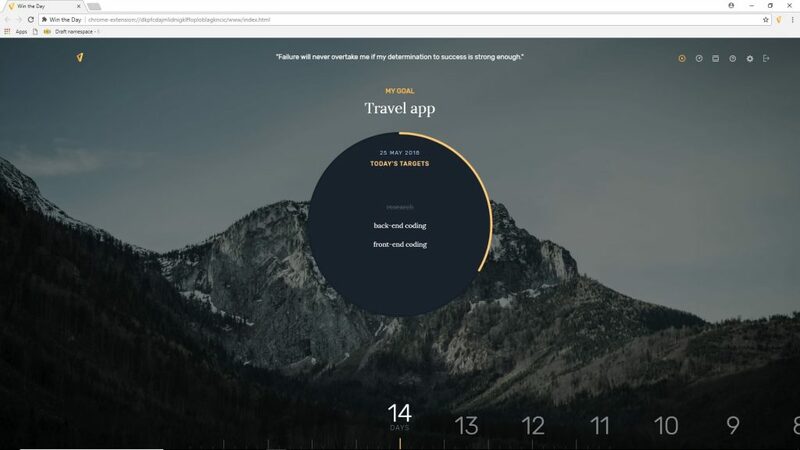 This extension allows you only a certain amount of time to browse a web page, before it closes the web page. An owl animation will follow you to all the websites you’re browsing and count down your time, reminding you to focus on the task at hand. It can also close inactive tabs after 15 minutes, if you enable this option. You can use Productivity Owl to restrict the time you spend on certain time-consuming websites, but you can also block them entirely. Or, you can learn to perform online tasks, such as research, quicker, by training yourself to find relevant information on web pages before the timer goes off. 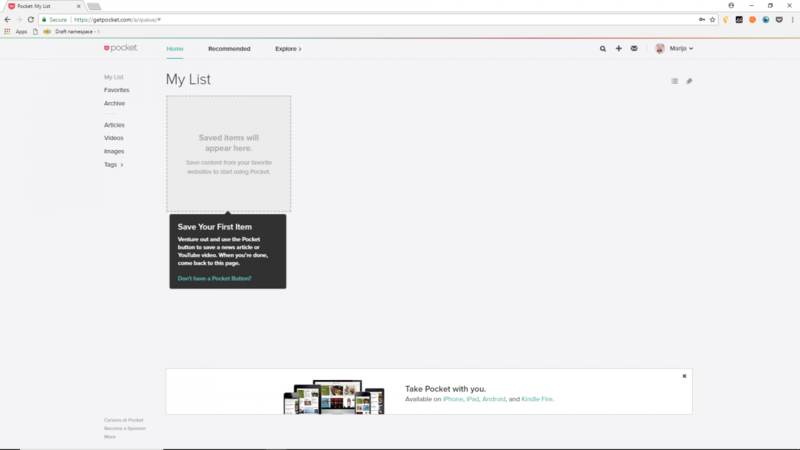 You can white-list websites you frequently use for work. You can also schedule your free time, and the Owl won’t close your pages automatically during this time. 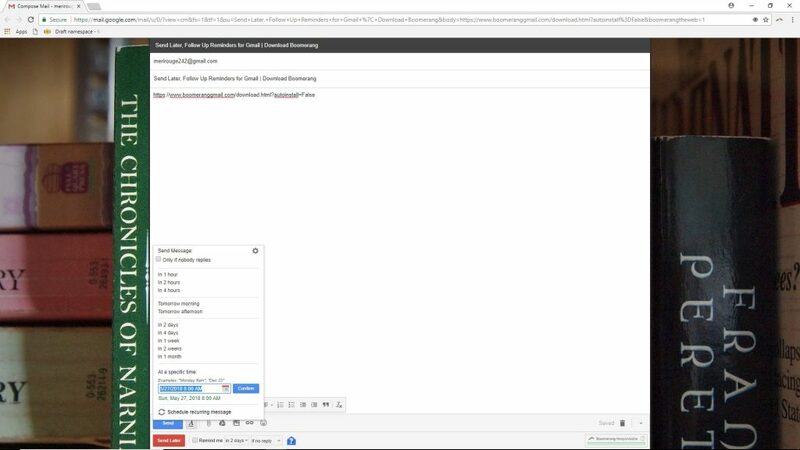 Boomerang for Gmail allows you to respond to emails later, by writing them first and setting the time when they’ll be sent automatically. You can also track your responses, and know whether the recipient has opened your email or not. This extension also provides you with an AI to help write your emails, which really saves you time for more important activities. This AI can even analyze your emails and tell you whether your emails are likely to receive a response. Vimium is a Chrome extension that enables you to use the keyboard to navigate all your online work. By default, you can use “J” and “K” to scroll down and up your Chrome page. You can also use “Shift+F” to indicate that you want to follow a link, so Vimium will show you all the links you can click on that page, and the letters you should type in to open these links in new tabs. 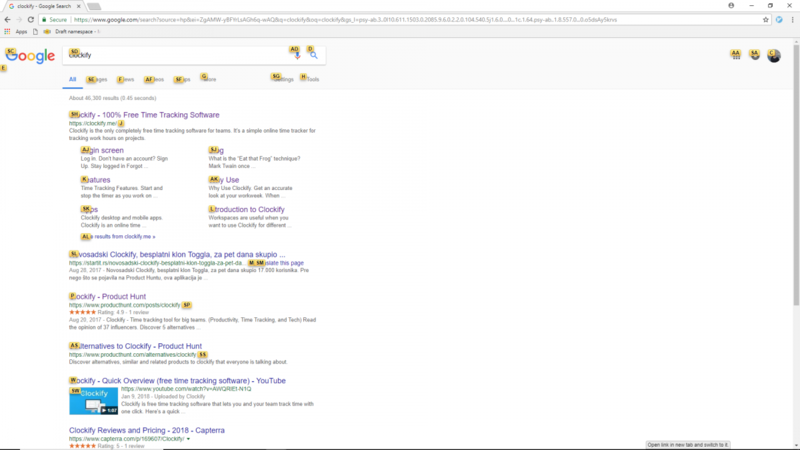 You can also easily open google searches, bookmarks, and history by typing “O”. In essence, once you install Vimium, you’ll no longer have to bother with the mouse, as all internet content will be just a keyboard shortcut away. Papier is perfect for brainstorming sessions, or when you’re researching for a project and need to make extensive notes. 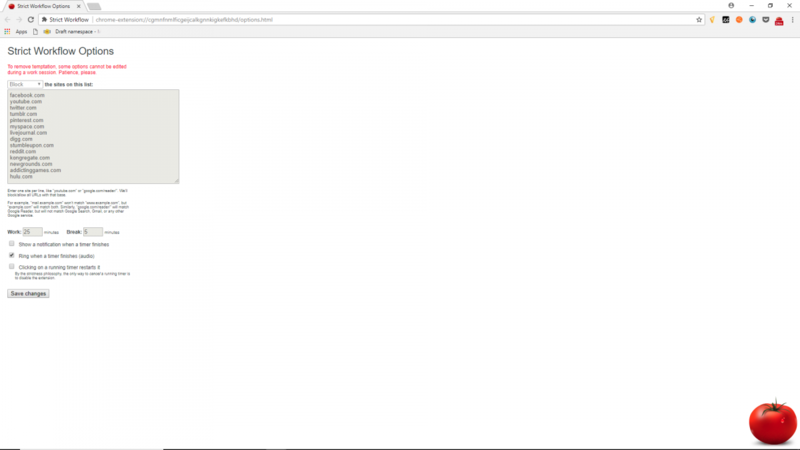 To start working in Papier, just install the extension, and open a new tab. 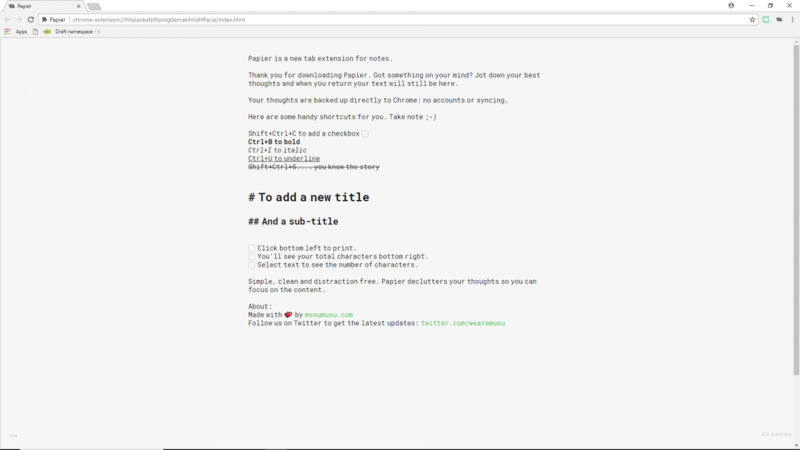 Here, you’ll see an editor where you can write down all your thoughts and notes. Papier automatically saves everything you write, and you can use basic formatting to make your ideas appear clearer and more organized. The interface is simple and unlikely to distract you; you can choose between bright white or a darker tone for a background. Win the Day is an extension that transforms your Chrome into a goal-setting tool, where you can set your goals and define your deadlines. Just enter the goal you want to reach, and its deadline (1-13 weeks). Within that big goal, you can set sub-goals, which you can then tackle on a daily basis. Once you’ve set up everything, you’ll be able to track your progress for this big goal, as this extension will count down the days you have left to finish. Win the Day can also help you create new habits, by letting you enter up to 3 new habits you want to work on. You can even set a time period when you’ll extensively focus on a task, by customizing your Focus Mode. Wasting time on Facebook is a reality for many people; but, with Todobook, you can actually make Facebook an ally in your work. 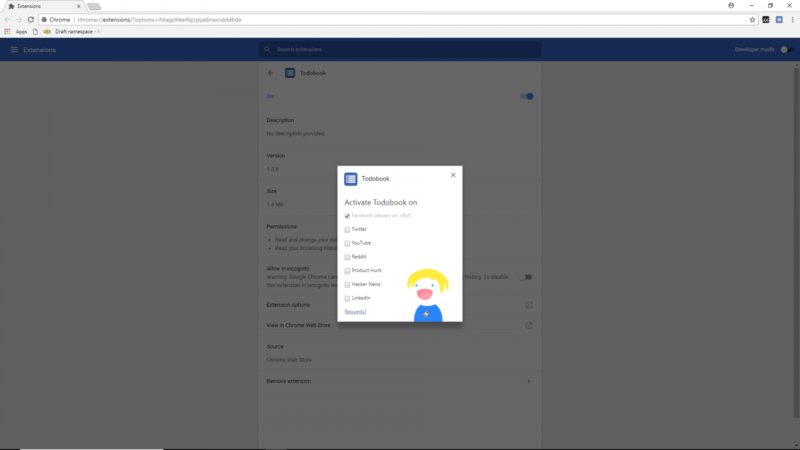 This extension helps you focus on your work by turning your Facebook feed into a simple to-do list. Now, every time you visit Facebook, you won’t be able to idly browse through your feed, but you’ll be reminded of all the chores you have to finish today. Once you have finished all your daily workload, you’ll be able to access your regular Facebook feed again. You can customize Todobook so that it only works from 6am to 8pm, and you can also define your break time, and the frequency of your breaks. Although Todobook was first designed for Facebook, you can also use it for YouTube, Twitter, Reddit, and some other similar procrastination websites. When you come across an article you’ll want to read later, you can save it using the Pocket extension for Chrome. Then, you can read that article on your phone during the commute or while you’re waiting for the dentist appointment. All the articles that you save automatically sync with all your devices, and you can even access them offline. Strict Workflow is a an extension based on the famous Pomodoro productivity technique. It lets you define work cycles in order to enforce the 25min/5min workflow that Pomodoro requires. Another benefit of this extension is that it can block non-work related sites while your work, and unlock them when you’re on your designated 5-minute break. The Pomodoro technique is a time management technique first coined by Francesco Cirillo in the 1990s. His idea was to use a timer to break down work into 25 minutes intervals, separated by short breaks. The Productivity Tracker helps you track your productivity by tracking the number of clicks and keystrokes you make in Chrome. 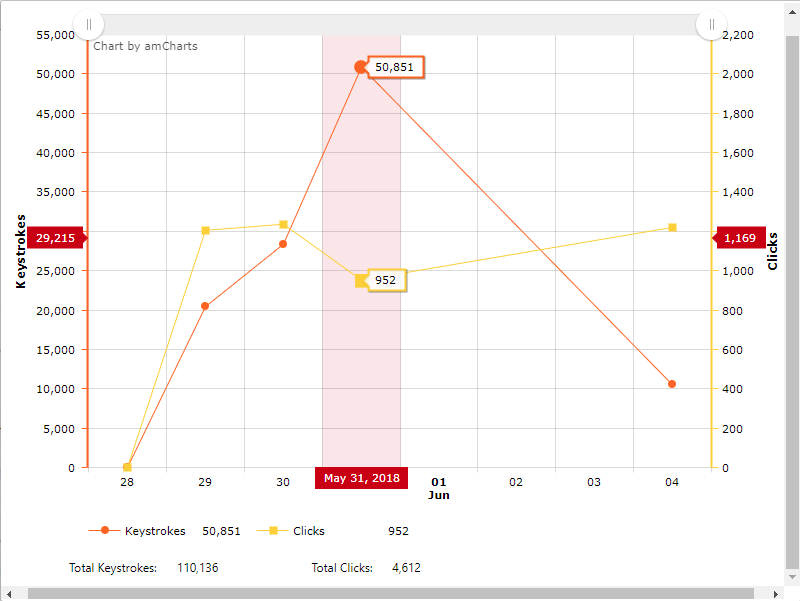 It then displays this data in a graph which you can access anytime you want. It’s especially useful for people who spend too much time on YouTube: if you’ve spent a lot of time on YouTube within a day, the Productivity Tracker will show you have a low activity in terms of clicks and keystrokes.